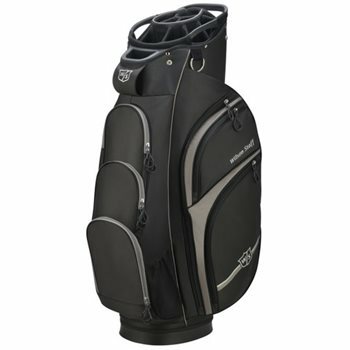 The Wilson Staff Xtra cart bag is equipped with plenty of storage which includes 2 large full-length garment pocket, 3 Velour valuables pockets, 1 large insulated pocket, 4 large accessories pockets, and 2 side mesh pockets. The Xtra cart bag features 3 side lift handles, an external putter well that fits an oversized grip, cart strap loop, umbrella holders, towel ring / glove holder, and a padded strap for comfort. Do you, or are you, going to make a cortex fairway wood, and rescue clubs. Not having the option 2 try them are keeping me from buying the cortex driver, I'd like to have a complete set.